Thoughtful commentary on navigating difficult times is offered from a place of awareness and understanding. There’s giving advice as a trained professional and giving advice from personal experience. In his new self-help book, GPS, James Coyle manages to do both. His combination of clinical, objective nonfiction with enlightening bits of memoir provides a genuine, accessible, and constructive reading experience. GPS serves as a guide for first recognizing life’s struggles, the “personal storms,” and then approaching them in a healthy and proactive way. This is accomplished by employing three methods: giving all we have, doing the right thing, and helping someone. Coyle crafts these simple guidelines into a manner of living. The most hands-on, interactive portion of the book comes in a chapter on the establishment of one’s core values, which are “deep seated beliefs, ethics, and morals” meant to provide context to build a life around. Coyle uses his years of experience to guide people through the process of developing these personal values for themselves. These exercises consist of hypothetical situations that include how to use one’s newfound core values to handle the loss of a loved one, homelessness, or terminal illness. It’s a pleasantly effective and well-crafted way to ground people in the face of adversity. Coyle is honest about his own past struggles throughout the work, which keeps the advice from feeling preachy or out of touch. He took an attempted suicide at nineteen and a divorce that resulted in single parenthood and turned them into a lifetime of helping others deal with trauma, as evidenced in the personal anecdotes sprinkled amid the broad guidance offered. The book is structured in an innovative yet easy-to-read format, with the first half chronicling the nine steps to navigating life’s storms, and the second offering “Tools 4 Life.” These tips make up a handy, fifty-part guide “to keep us safe and productive on the road” of life. While some of the tools are cliché, they are delivered with sincerity, so that adages like “big ears are better than a big mouth” and “if you want change, become it” are genuinely helpful. The advice is paired with fresh explanations and anecdotes, which are emblematic of why the book works despite the initial lack of novelty. The help in GPS is, above all, thoughtful commentary offered from a place of awareness and understanding. 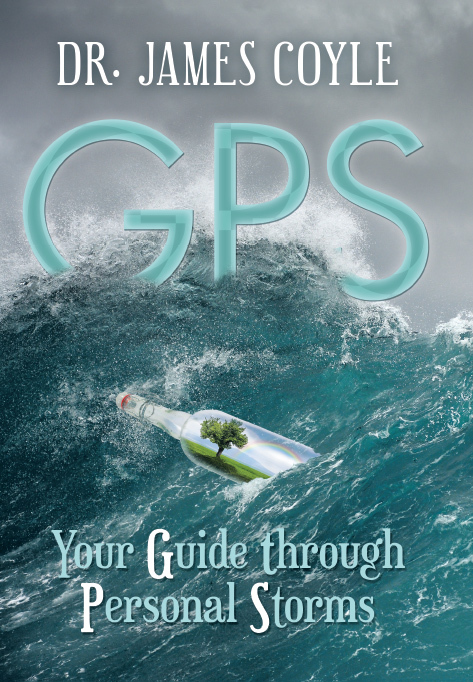 GPS is a versatile book that proves useful in a multitude of hardships. Coyle’s years of experience with traumatic intervention result in a guide through hardships that is at once accessible and practical.